While they’re much less vulnerable than their Windows-based counterparts, Macs are still susceptible to contracting malware. Macs have even been infected by Windows-based malware cleverly disguised as award-winning titles like Adobe’s Flash Player. In fact, malware disguised as Flash Player is “particularly favored” among nefarious actors trying to exploit macOS machines, 9to5mac notes. And while software like Malwarebytes is designed to scan for and remove potentially malicious software automatically, according to a blog post published by the security firm this week, there’s a new and much more aggressive variant of Flash Player malware currently on the loose — described in the post as a version of Crossrider adware capable of protecting itself from removal. 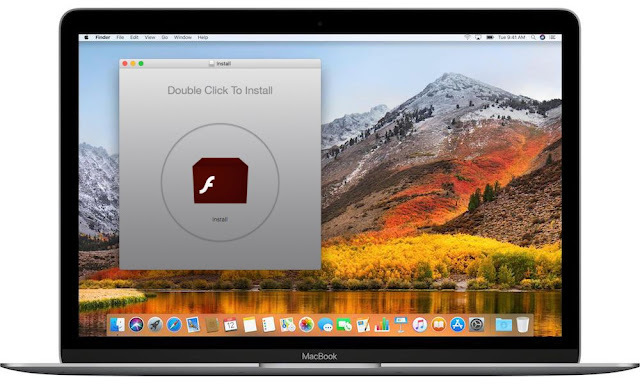 Essentially, the downloadable Flash plug-in is capable of changing the home page in both Apple’s Safari and Google’s Chrome web browser on macOS computers and, disturbingly, won’t allow users to change it back once it’s installed. As the firm explains, locating and deleting the installed Crossrider profile once it’s been installed can be tricky — but it’s still possible to erase, and restore your system/web browser back to its original settings. Open System Preferences from your Mac desktop and click the Profiles icon. NOTE: if there’s no Profiles icon, then you don’t have any profiles installed, which is normal, according to Malwarebytes. To read more on this malware and how to properly identify and remove it if you’ve recently downloaded the Adobe Flash player specified, click here.